This is from when the Newsboys were good, Peter Furler on lead vocals and Phil Joel playing guitar. I Surrender All is part of the fun and meaningful Love, Liberty, Disco LP. It was released in 1999. Words by John P. Kee, music by Peter Furler. It's one of my favorite Lincoln quotes. Leaders must take others' opinions into account, but they can't be shackled by the quest to win people over. This summarizes what God seemed to be trying to teach me during my quiet time with Him today. To see how I structure these intimate encounters with God, look here. Before this verse appears, Jesus has just instituted the Sacrament. He then tells the twelve apostles that someone among them is going to betray Him and that condemnation will fall on the one who does this. According to Luke, the apostles then shift into a debate as to who among them the betrayer could be. But just as quickly, their short attention spans showing, they move to a different argument: Which of them is considered to be the greatest? I checked on the Greek here for several key words. The first is dispute. In the Greek in which Luke first wrote his book, the word is φιλονεικία (philoneikia). That’s a compound word, the first part of which means love, like in philadephia (brotherly love). Philoneika literally means lover of strife. It seems to refer to people who just like to argue. At this dramatic moment, when their Lord has just told the twelve that He is going to be betrayed and die, their love for Him isn’t stirred. Instead, their first reaction is to see who they can pin the blame on for the betrayal. Then they indulge their love of dispute to argue over which of them is the greatest. It’s all so hollow. In a matter of hours, the one Jesus has already designated to lead this lot of losers, Peter, will deny any association with Jesus. Among those to whom he denies following Jesus is a powerless servant girl whose testimony is toothless in that ancient sexist world. But a true good name cannot be conferred by the world. The world is fickle. The world is confused, often confusing bombast and violence, wealth and possessions, for greatness. True greatness, Jesus says, isn’t about celebrating oneself, pushing one’s self forward, bullying others, or even being seen as the nicest person in the room. Looking great isn’t the same as being great. And we have to know the difference. According to Jesus, true greatness=true servanthood. Just as Jesus came among us as One Who serves, we are to be servants. In God’s Kingdom, Jesus has the greatest name because He is the greatest servant of all. He descended deep into the sin, violence, and darkness of our world and then deep into hell itself, in order to, respectively spare those who trust in Him from sin and death and to proclaim God’s victory over evil to the demons. Jesus emptied Himself of all the advantages of deity and became a servant to all for the sake of all. His was the greatest act of service ever rendered, not just because He was and is God, but also because He was and sinless, yet bore our sin on the cross. If we would have truly good names, names written in the book of life, we must daily give up our pretensions to greatness, we have to quit trying to be “all that,” whether among our families, churches, co-workers, etc., and seek, in the power of the God we meet in Jesus, to be servants. Servants: People who seek each day to be lovingly useful to God and to others. People who know where the real power is, emptying ourselves and letting the power of God’s Holy Spirit unleashed in believers in Jesus, be given expression and to take control of us. “...for Christ's sake, I delight in weaknesses, in insults, in hardships, in persecutions, in difficulties. For when I am weak, then I am strong” (2 Corinthians 12:10). Listen: All I need is Christ. Christ alone. Through Him, God has given me life (Colossians 1:16). Through Him, God has given me new life 2 Corinthians 5:17; 1 John 5:11-12). Through Him, God provides daily bread (although we human beings can be stingy about sharing it). Through Him, we know that more than daily bread, we need Him, the living bread from heaven. When I’m full of myself or afraid or apprehensive or resentful or sad, I must remember that Christ is all I need. Response: God, help me to act boldly with faith in Christ, knowing that You will empower me to do exactly what You want me to do. Help me to remember that when I give myself away to You and to those who need me, there isn’t less of me, there’s more of You and become more like the person You created me to be. Help me to live for Your glory, not my own. Help me to seek Your will, not my own. In Jesus’ name I pray. I had just returned from making runs this afternoon when I saw the Senate vote on proceeding to debate an as-yet undisclosed health care bill, followed by Senator John McCain's first speech since being diagnosed with brain cancer. It was, maybe, the best speech McCain has ever given, full of amity mixed with criticisms of his fellow Republicans and Democrats alike and a call to the kind of civil and sometimes incremental governance that the Framers of the Constitution had in mind. McCain has received criticism from some members of both parties today. Some Democrats felt that his vote to proceed on debate was a vote against the kind of health care coverage he enjoys as senator. A few Republicans didn't like his criticisms of the two most recent health care bills to be produced by Senator Mitch McConnell and the Republican leadership. But, after listening to McCain's eloquent speech today, I was moved. I saw it as a ringing call to renew American democracy, something which I'd think people of both parties and of no party can get behind. If you haven't seen the speech, watch it here and decide what you think. Sometimes you realize that you're where you're supposed to be, even if the reason you went there in the first place didn't pan out. Earlier today, I went to an area nursing and rehabilitation center to see a member recuperating from recent surgery. When I walked across the parking lot, a woman, leaving the place after making her own visit, called out from her car, "Hello, Father. Where's your church?" "Actually," I said, "I serve Living Water Lutheran Church in Centerville." "Oh!" she told me, "years ago, when I was going through some tough times, I went to talk with a Lutheran pastor. He helped me so much." We talked for awhile. Our brief conversation reminded me that, while sometimes monstrous things are done in the name of Christ by those who claim to be Christian, the Church, whether laypeople or clergy, also does a world of good in Christ's name. And people like that woman are grateful for it. When I went to our church member's room, she wasn't there, but in physical therapy. 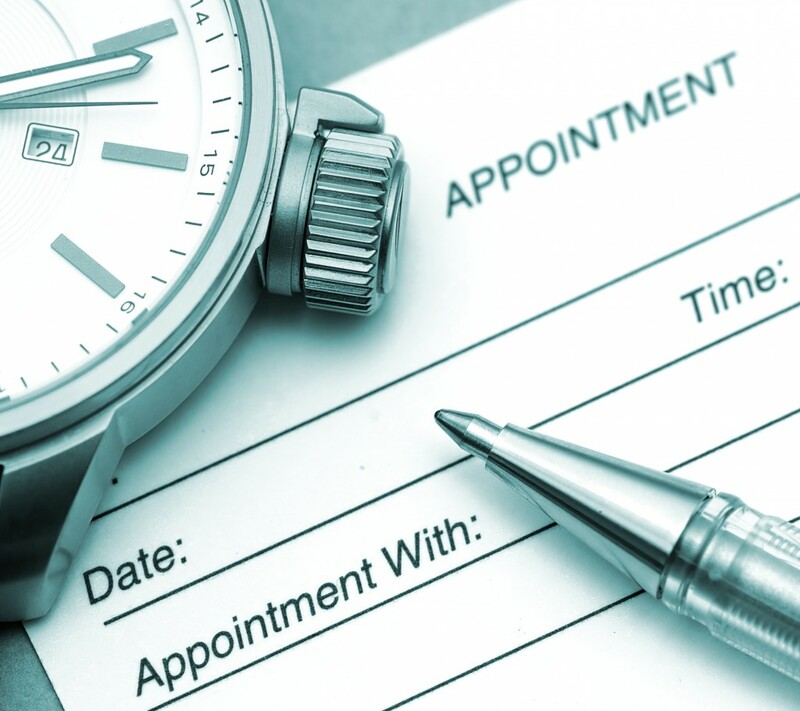 By experience, I know that takes some time and it's not a convenient moment for therapist or patient to be interrupted for a visit that includes prayers and Holy Communion. So, I decided to leave a note. I asked for a piece of paper from a nurse at the nearest desk. She handed it to me and asked, "Are you a pastor?" "My parents go to Grace Lutheran Church in Springfield." "One of my favorite pastors is the senior pastor there," I told her. "You know Pastor Powell? He's great! I'd go, but we live pretty far away. And my husband likes a more contemporary service. They have one, but it's once a month." I told her that there are lots of churches, Lutheran and otherwise, that offer varied worship services. "There might be a good one for you and your husband." I then handed her the note for our Living Water member, asked her for her name so that I could pray for her. She seemed genuinely touched. Out of the facility and onto the parking lot again, a man with a "Vietnam Veteran" ball cap was getting into his car. "Hi!" he called out. "How are you today? Do you have a loved one here?" I asked. He explained that his ninety-seven year old father was a resident there. His mind is still sharp, he explained, but he can't hear and he's nearly blind. He's got other health issues and he sometimes says he wishes that he could die. "I tell him he can't feel that way," the vet told me, "but I understand how he does." He looked down. "We also got some bad news today. My wife's got some sort of heart problem. The doctor says she doesn't necessarily need surgery. They're going to try to use medicine. But it was discouraging for her." As we talked more, he told me of his own health issues, including diabetes and accompanying neuropathy. He said all of these things without any discernible self-pity, but I could tell that all of it was weighing on his mind. He expressed gratitude for the care he gets through the Veterans' Administration. Our conversation covered other topics too. He mentioned having gone on an Honor Flight, something that my dad, a Korean War-era Air Force veteran is going to be doing in September, on his eighty-eighth birthday. As I got ready to leave, I told the man, "Believe me, I think that I can understand a bit how you feel with your dad's situation, especially with you being pulled in different directions. My own mom just died in April and though my dad is in great shape, you can't help being concerned. "But, I want to encourage you when it comes to your wife's situation. Seven years ago this past month, I had a serious heart attack. had a 100% blockage of the left anterior descending artery. They call that the widow-maker. I've got a stent and a pacemaker/defibrillator. I lost 40% of my heart muscle. I just saw my cardiologist for my annual check-up yesterday. He still says that he can't understand how I developed a blockage and he doesn't know why I survived the heart attack..."
"I do," the vet said. I agree with him, of course, that God spared me that day in June, 2010. And I chastise myself often for not always remembering that if God saved me, He did so for His purposes not mine, so that I can accomplish the things He has for me to accomplish. Things like going to nursing homes when the person I'm visiting is unavailable. "You tell your wife, there are all kinds of things the cardiologists can do. I'm living proof of it. And let me pray for your wife and your dad. What are their names?" "Denise and Martin," he said. Three people I'll probably never see again. Each of them a divine appointment for this date in God's day planner for me. Each an opportunity, in little ways, to share a reminder that the God we meet in Jesus Christ is around and that He cares and that His people, the Church, care too. In Hebrews 13:2, Christians are told: "Do not forget to show hospitality to strangers, for by so doing some people have shown hospitality to angels without knowing it." The verse directly references an incident from Genesis in which Abraham welcomed messengers or angels of God, including the Lord Himself, to His tent. Christians are to be welcoming people, knowing that everyone they meet reflects the God in Whose image they were first created. But, sometimes we show hospitality--a word related to the word hospital, the name for places of healing--when we meet people out in the world and extend to them the healing compassion, concern, and shelter of the God Who loves them infinitely, the God we can only know through Jesus Christ. That's why Jesus says that whenever we serve those the world considers to be the least--the elderly, the young, the hurting, the overlooked--we serve Him. And for that to happen, we have to be in the right places, open to being interrupted by God's plans, willing to trash our own. I sometimes forget that, getting caught up in my own agenda. But living with an openness to God's appointments for me is one of the most fulfilling aspects of following Jesus. When you get out of God's way long enough, you realize that you're exactly where you're supposed to be, even if the reason you went there in the first place didn't pan out. At least that's what I've experienced. I posted a link to an installment of Today's 11:11 over on Facebook and someone asked me what the significance of 11:11 was. Here's what I said, with a few more comments. Since the advent of digital clocks, 11:11 seems to have always been the readout I've noticed whenever I randomly check the time. Unless I have a meeting, class, or appointment, I generally don't look at clocks. But when I randomly do so, I often see 11:11. A friend of mine reports the same experience, which is funny. We're both kind of obsessed with it. I attach no significance to 11:11, really. It would be just as striking if what I frequently saw was 10:10 or 12:12...and just as meaningless. But I decided it would be a good blogging discipline to daily post about something that I've read or thought about and post it at the same time every day. 11:11 seemed like a good time to do it. It's a writing prompt, a blogging prompt. One final reason. There's a tradition among some Christians that refers to the moment of Christ's return as midnight, the end of the old creation, the full institution of the new. All time before that moment is the eleventh hour. We need to live life to its fullest and keep following Christ in the eleventh hour. Yeah, I probably have given this too much thought. 😀 But all this other rationale came to me after I thought, "I'll be sure to post at 11:11 every night." 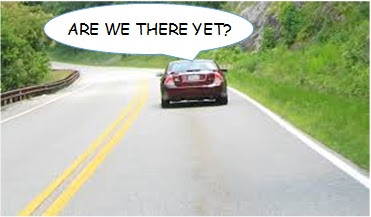 “Are we there yet?” That question, at one time or another, is the bane of every parent’s existence. Patience is not most kids’ strong suit. And here's the deal: It’s not anybody else’s strong suit either. In today’s Gospel lesson, we have another instance of Jesus telling a parable which the disciples later ask Him to explain. If in last week’s parable about a farmer scattering seed over different kinds of soil, seed stood for God’s Word spread indiscriminately over the world, the seed in this week’s lesson stands for something else entirely. And the overarching message to believers in Jesus is this: Be patient; we aren’t there--”there” being the full unfolding of God’s kingdom that Jesus died and rose to bring us--we aren’t there yet. All who trust in Christ are good seed, new seed, created by God’s grace through faith in Christ. God creates us anew for two purposes: to grow as citizens of God’s new creation and to “bear fruit,” making new disciples as the Holy Spirit uses our witness for Christ to bring life. Anywhere God’s Word about Christ is heard and believed, God performs a miracle: He transforms weeds into wheat, into good seed! The only mission of the Church is to grow as disciples and to make disciples. God deputizes us, Christ's Church, to be the conduits by which this miraculous transformation happens! The apostle Paul puts it this way: “...faith comes from hearing the message, and the message is heard through the word about Christ” (Romans 10:17). Weeds can become good seed when we share the Word about Christ with others! And this is exactly what’s been happening for more than two thousand years, the kingdom of God sprouting up all around as billions of people have been made new by Jesus through their faith in Him. But something else is also going on, according to Jesus’ parable. And our experience confirms His Word: There are weeds growing among the wheat, growing in the world, growing even in Christ’s Church. They’re the crop planted by Satan, the crop responsible for every sin that exists in this world: idolatry, gossip, murder, materialism, racism, sexism, envy, selfishness, double-dealing, child abuse, adultery, corruption, you name it. 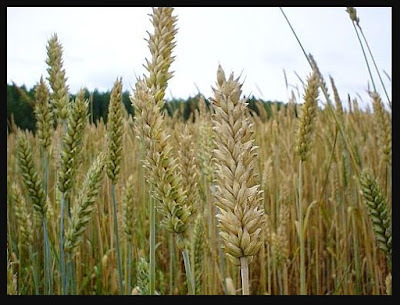 In the parable, the weeds are all those people given over to sin, often looking as innocent and healthy as hearty wheat on the outside, but filled with evil, death, and decay in their thinking and their living. This response to bad wheat is akin to a common reaction to evil on the part of Christians. They want to take drastic measures: Read people the riot act. Form a committee. Vote for a slate of candidates. Pass some new laws. But, folks, this can be dangerous and ungodly behavior! When you’re confident that you’re part of God’s good new creation (you know, wheat rather than weeds), the devil comes along with a big temptation: He tries to convince us that we were saved not by grace, but by being such a wonderful person. You can begin to think that because you’re so “in” with God, you have the right to cast judgment on all those unrighteous weeds around you. We can forget that unless we daily submit to God’s use of a little weed killer on us--unless we own our sin and allow our old sinful selves to be daily killed so that the new people Christ died and rose to empower us to be, we too are in danger of becoming increasingly weedy, walking away from Christ and the life that only He can give. An adage reminds us, “There but for the grace of God go I.” Without the grace of God given in Jesus, I would be just another eminently disposable weed! But, you may say, there’s so much evil in the world, so many people given over to evil who are getting away with murder, what is God going to do about it? The answer is this: God has already done something about the evil in the world. In Jesus Christ, God bore all evil on the cross, including your sins and mine. He bore it all on His sinless shoulders. He accepted the verdict and the punishment for sin you and I deserve, death, and because of His complete innocence, was able to kill off the power of sin, death, and the devil for all eternity for all who trust in Christ. There will come a time when the crucified and risen Jesus will return and usher in His eternal kingdom to the full. Evil and death, grief and loss, will be finished. “...[Jesus] will wipe every tear from [believers’] eyes. There will be no more death’ or mourning or crying or pain, for the old order of things [will have] passed away” (Revelation 21:4). But, friends, we’re not there yet! Until we are there, our call is to be patient, because Jesus’ death and resurrection guarantee us that God is going to make everything right. And we need to be patient with others. When the disciples who made up the first century church at Corinth started judging all the “weeds” around them for being spiritually inferior, the apostle Paul reminded them: “You know that when you were pagans [weeds], somehow or other you were influenced and led astray to mute idols” (1 Corinthians 12:2). “You’d still be nothing but weeds if it weren’t for the good news of Jesus,” Paul is saying. We need to remember that there isn’t a single evil person who can’t be saved by faith in Jesus. Just as Jesus has saved me from sin and death through what He accomplished on the cross and my faith in Him, anyone can be saved from sin and death. Weeds can turn into wheat under the power of God’s Word about Jesus. We need to trust in that truth. Which leads us to the most important reason you and I need to be patient as we wait for Jesus to return and make everything right: We have work to do! The apostle Peter, in his second New Testament letter, wrote to churches who couldn’t understand why God was allowing evil--sometimes evil persecution against the Church--to go on. What was the hold up? When would God pull down the curtains on this old creation and set His people from evil and suffering? Why is God so slow in acting? God wants as many sin-sick souls as possible to be given the chance to turn to Christ and live. And God wants His Church--you and me--to fulfill our great commission, to share the gospel, to call people to repentance and faith, so that they can have the same new and eternal lives Christ has given to us. God wants you and me to patiently share Christ with others. He wants us to bring in a harvest of wheat, disciples growing strong in faith, in response to our faithful, patient witness, powered by the Holy Spirit! We’re not there yet--not yet experiencing the kingdom in its fullness as we one day will. But let’s have patience with God and our neighbor. Let’s live our faith, share our faith, pray it, serve in response to it. As long as we have breath, let’s be patient in following and sharing Jesus with everyone...and trust that God will sort things out and make everything right on the day of Jesus’ return.